Jennie Gow speaks to Jolyon Palmer and Andrew Benson about the new Formula 1 season. Jennie Gow is joined by Jolyon Palmer and Andrew Benson to preview the new season. They discuss the controversial 'halo', what else has changed for 2018 and what we've learnt from pre-season testing in Barcelona. 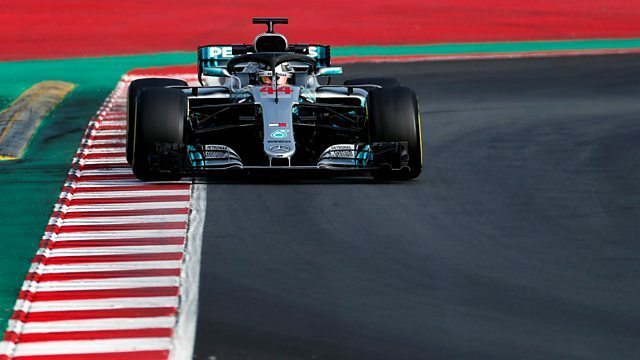 There's also an interview with Mercedes boss Toto Wolff on Lewis Hamilton’s hopes for a fifth drivers' championship, and Christian Horner discusses Red Bull's title hopes.